2D <3 3D is a Kinect-based online multiuser interactive environment. The project is still under development and currently allows multiple web-based users to interact with and augment the physical space of the Kinect participants with virtual objects. 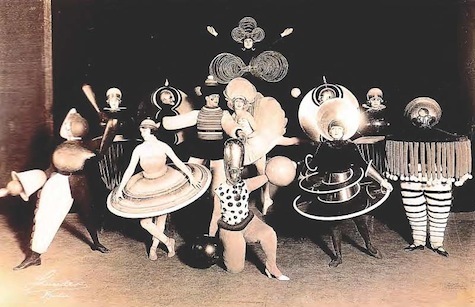 The Bauhaus school of art, architecture and design also explored theatre. I was mostly interested in its highly geometric and formal qualities. 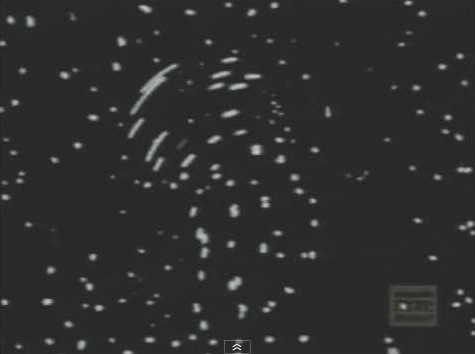 Peter Gabriel’s Sledgehammer video demonstrated an interesting optical phenomenon: human shapes may be inferred by the sole movement of points. 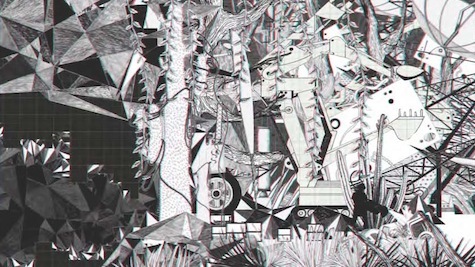 UYUYUY is a short film by Santiago Caicedo which, while designed to be watched with 3D glasses, is mostly composed of 2D elements. The web has always been a medium of my interest. I try to include web-related functionality in my projects. The Red Agency website has an interesting chat functionality mixed with navigation and 2D parallax scrolling interface. I wanted to have a multiuser conversation between the physical and the virtual; 3D and 2D. This was my first C++ project so the learning curve was quite steep and full of obstacles. I started exploring the networking possibilities in openFrameworks including ofxOsc and ofxNetwork deciding upon the latter communicating with the web via a Java-based XMLSocket server (I know “basic” web sockets perform better but not enough time to explore that). The project also uses ofxOpenNI for skeleton detection and ofxBox2d for physics/collision detection. An initial attempt was made to use ofxMSAPhysics but for some reason I could not make it work well with ofxOpenNI. 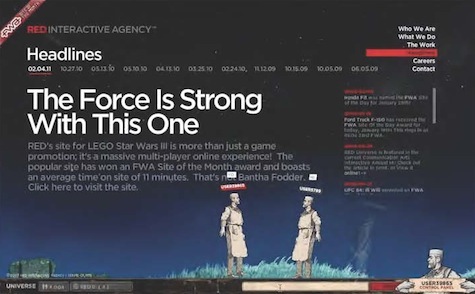 The web interface uses Flash. One challenge was how to visualize and represent the activity in either end (Flash being the 2D environment and openFrameworks the 3D). Further exploration must be made in order to have a more interesting visual representation in both ends. The two main components of this project are mutually dependent: the 3D-interacting users require that web users are present and creating objects they can interact with. 2D web users require the “presence” of 3D skeletons for them to observe and affect. This “conversation” between 2D and 3D is the main element of the project. This project was done as part of the requirements to complete the Spring 2011 Interactive Art and Computational Design course with Professor Golan Levin in Carnegie Mellon University.